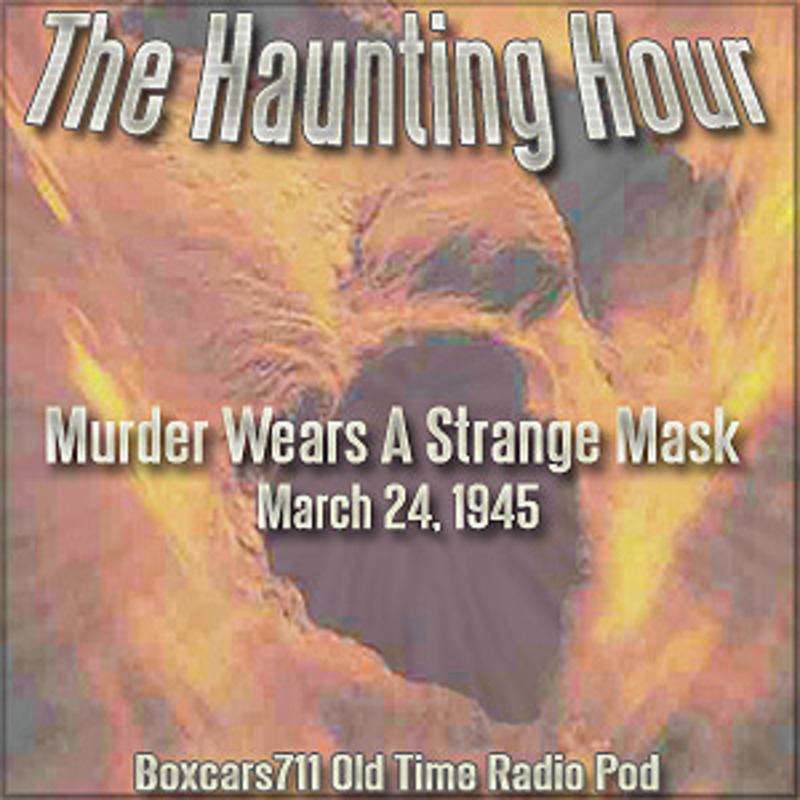 The Haunting Hour is a work-in-progress collection within the holdings of many serious Radio Collectors. From the meager available productions currently in circulation it's clear that the series was popular for its time, at the very least. With a known run of at least 52 unique scripts and more doubtful further 39 to 52 scripts, it would appear that the series was in demand for at least four years--in and out of syndication. Given the high quality of NBC Network voice talent in the circulating episodes, one can well imagine that the remainder of the yet alleged, undiscovered, or uncirculated episodes have at least as much to recommend them. Thankfully, as with many other examples of Golden Age Radio productions, many of the existing episodes in circulation can be directly attributed to the efforts of the Armed Forces Radio and Television Service [AFRTS]. THIS EPISODE: March 24, 1945. Program #21. NBC syndication. "Murder Wears A Strange Mask". Commercials added locally. A murder or two at a masquerade ball. Whodunnit? Edwin Wolfe (director). 28:12. Audio condition: Very good to excellent. 3708 episodes available. A new episode about every 5 hours averaging 29 mins duration .